When the Dutch think of Tilburg and events, the annual Tilburgse Kermis fair immediately comes to mind and as far as culture is concerned the city has a lot to offer. A great theatre and one of the Netherlands’ better concert halls are both available in Tilburg. Any true music fan would be happy to pay a visit to 013, which has gained worldwide recognition as the venue for the Roadburn Festival. Check venue websites for more musicals, theatre and concerts. 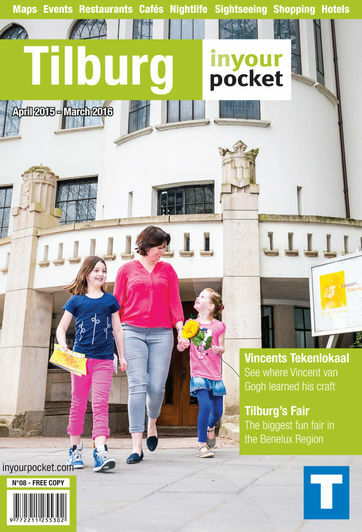 Tilburg's various art academies and associations are also a major driving force behind the cultural life of the city. And its actually the only city in the Netherlands that has six vocational art academies. This diversity produces a wide variety or performances, concerts and events. After a thorough renovation in 1998, the former monastery chapel of the Cenakel has become a popular venue for concerts and exhibitions. De Pont combines the history of Tilburg with contemporary art. It offers both temporary and permanent exhibitions.